The holiday season approaches, and the mail deadlines loom; yesterday was the last day to send regular mail to arrive for the holidays. 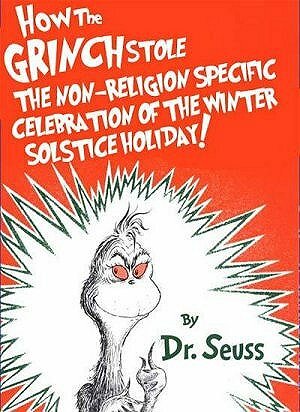 While we sing of “Peace on Earth, Goodwill to non-gender specific personages,” I thought it would be good time to look over somethings about what now has to be a politically correct holiday! And hopefully, your cards will reflect the new found sense of the time of year. Additionally, a fiscally successful, personally fulfilling, and medically uncomplicated recognition of the generally accepted calendar year 2006, but not without due respect for the calendars of choice of other cultures whose contributions have helped make our society great, without regard to the race, creed, color, religious, or sexual preferences of the wishes. —this is a repeat, but bears repeating!! This entry was posted in Carols, christmas, Christmas cards, early evening thoughts, poem, politcally correct by xlntsx. Bookmark the permalink.